A FUNDING pot worth up to £1 billion is set to be created in a bid to transform the Capital’s roads, railways and housing. The landmark “city deal” would emulate a recent £1.13bn jobs and infrastructure agreement for Glasgow and could unlock hundreds of millions of pounds in investment cash. Edinburgh’s burgeoning technology and knowledge sector has emerged as a spending priority and it is understood housing and transport links serving major research parks and university campuses would be among the first in line for upgrades. If the Glasgow model is followed, it is likely governments at Holyrood and Westminster would each contribute up to £450 million, with the Capital and other councils in the Lothians, Scottish Borders and Fife – dubbed the Edinburgh City Region – forking out around £100m. Council bosses said time was “of the essence” to replicate Glasgow’s deal, adding that they want to approach ministers with proposals before May’s general election. It comes just months after the Evening News revealed the city faced a £260m backlog in road repairs. Councillor Frank Ross, economy leader, said ensuring the Capital “plays to its strengths” would be key when thrashing out detailed plans as part of a £25,000 scoping exercise. 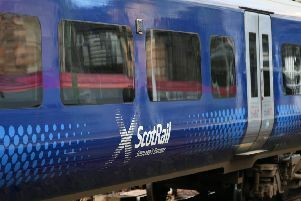 He said: “We recognise that we have to look at all the funding that’s available – Edinburgh’s a growing city and growing cities need growing infrastructure to support that. Early data suggests an approved plan could be underpinned by private sector investment worth up to £3bn, but the actual size of the fund will depend on which neighbouring councils agree to sign up. Economy chiefs have indicated a two-way collaboration between Edinburgh and Fife is “of particular interest” following initial discussions, although this may mean reducing the investment amount. And any deal here is more likely to resemble that developed for Cambridge rather than the “post-industrial” strategies being pursued in cities such as Glasgow and Manchester. Greg Ward, director of economic development, said: “The conversations that we’re having are about looking at the assets that offer the most opportunity to add to that technology revolution that we’re seeing here in Edinburgh.